GROWING FAITH AT HOME is a weekly lectionary-based resource to help your households live, share and celebrate faith together each and every week! Looking for a way to link Sunday worship with household faith formation Sunday to Sunday? Want to provide resources to help parents and grandparents pass on the Christian faith in their homes? A resource that connects weekly congregational worship with the faith life of the home. In photocopiable double-sided A5-size for format. On one side there are aids for individual or household devotional use e.g. The Faith5, daily bible readings, a key scripture passage for the week, prayers and blessings. These are based on or related to Sunday's Bible readings. On the reverse side there are ideas and suggestions to help households live out their faith in and through the home during the week. Where does GROWING FAITH AT HOME come from? 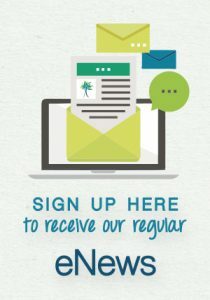 The GROWING FAITH AT HOME resource is available by annual subscription. A full lectionary year of GROWING FAITH AT HOME resources will be distributed to you. Is GROWING FAITH AT HOME only for families with children or youth? People of all ages can use the devotional resources (Bible readings, prayers, blessings) in their personal or couple ‘quiet times’. Small groups, ministry teams and committees can also benefit from using the Faith Talk questions for spiritual reflection and focus. Using GROWING FAITH AT HOME to its full potential requires more than simply photocopying the resources and distributing them to select households. It has proven to be of most benefit when reinforced through Sunday worship, promoted to households on an ongoing basis and supplemented with practical teaching and training. A Congregational users guide and Home user's guide have been developed to help you introduce the resource to your congregation and support its use over time. GF@H Moments have been created to encourage congregations and families to celebrate those special moments that happen in our life. It's a gentle way of bringing God into everyday life. With over fifteen moments in each set, these Growing Faith Moments will help your family and congregation bring God's love into every day life. Download these FREE resources today. 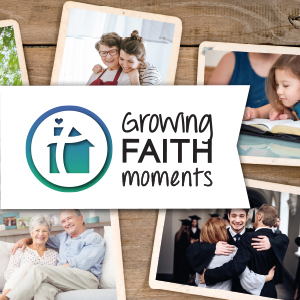 We have set up a Facebook Group called Growing Faith at Home – Grow Ministries This is a closed group that people can join and is designed to support, encourage and inspire all-age faith formation through the use of the Growing Faith at Home resource. All members are encouraged to actively participate in the discussions and ideas.